Help beating objects into submissive, working package files! Replies: 1 (Who? ), Viewed: 604 times. 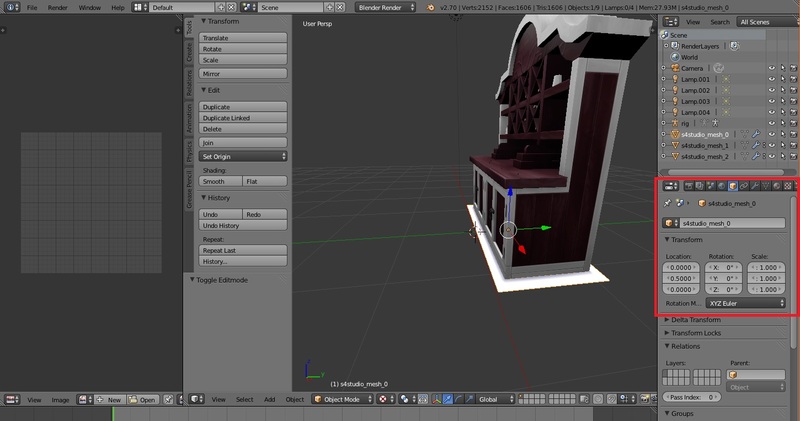 In Blender you will see x, y, and z numbers that represent the item's location in the game. I believe altering the z number will move it up and down, and using that, you would be able to have what appears to be a floating candle. I've attached an image and marked the area in red where you will change the numbers. Remember to also adjust all the mesh pieces in all LOD's and Shadow LOD files equally!